Want complete privacy and outside light? Motorized honeycomb shades are the solution, especially for those impossible-to-reach windows. A choice of colors lets honeycomb shades complement your décor while the natural color on the exterior ensures a consistent look from the outside. The “top-down” or “bottom-up” feature provides privacy and light simultaneously. 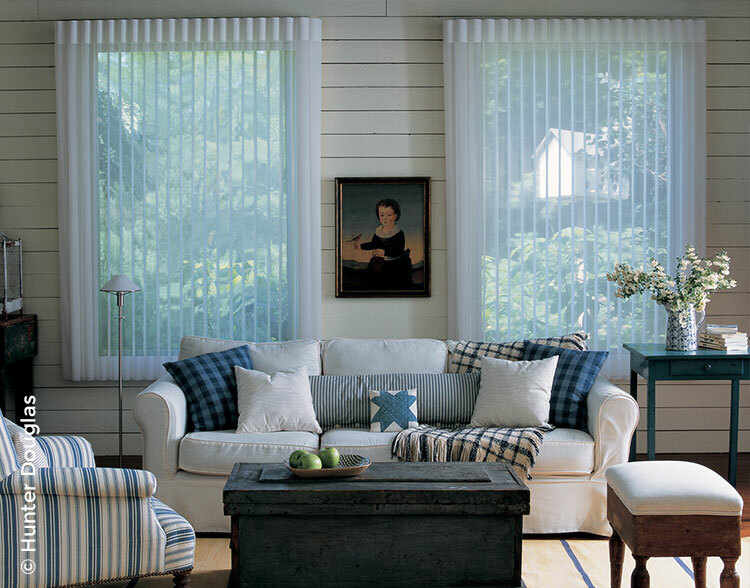 Luminette shades combine the softness of sheers with the privacy of blinds. Luminette offers flexibility – color, fabric, even a choice of right or left opening. Motorized Luminette shades put light and privacy control at your fingertip. Silhouette shades - also called cellular – are today’s version of a traditional sheer. The delicate fabric has the feel of a soft, light-diffusing product. The effect? Elegance. A range of pleat sizes allows them to accommodate windows of any dimensions. 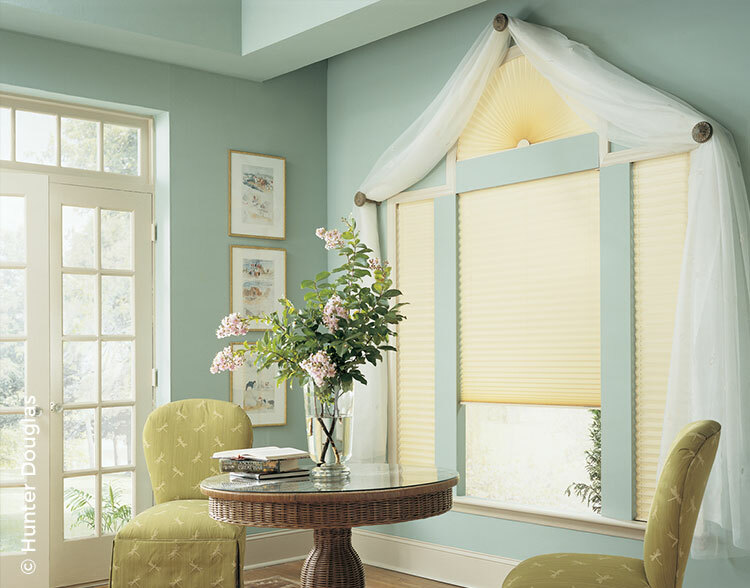 Consider pleated shades for windows of any configuration. They provide function and allow draperies and valances to focus on fashion. For added light control they can be lined with fabric, while a cordless “raise and lower” feature offers convenience. 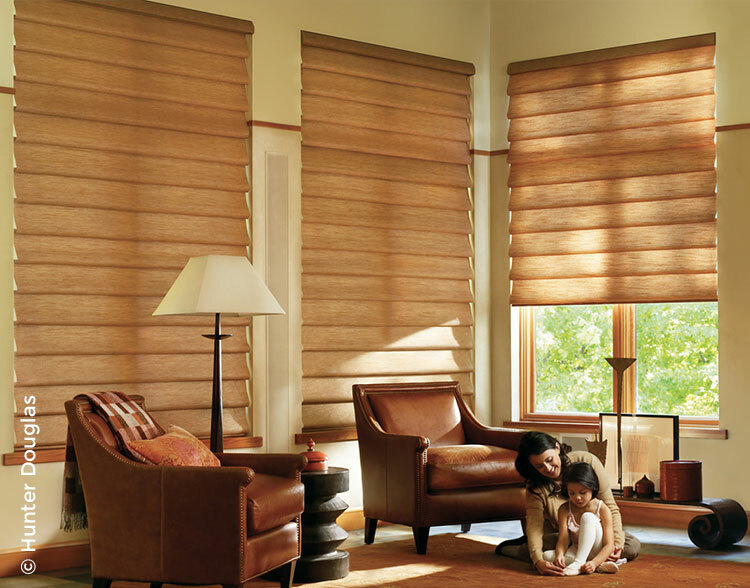 To accommodate furniture placement, pleated shades can be motorized for remote operation. Sunscreen shades create the illusion of bringing the inside out. 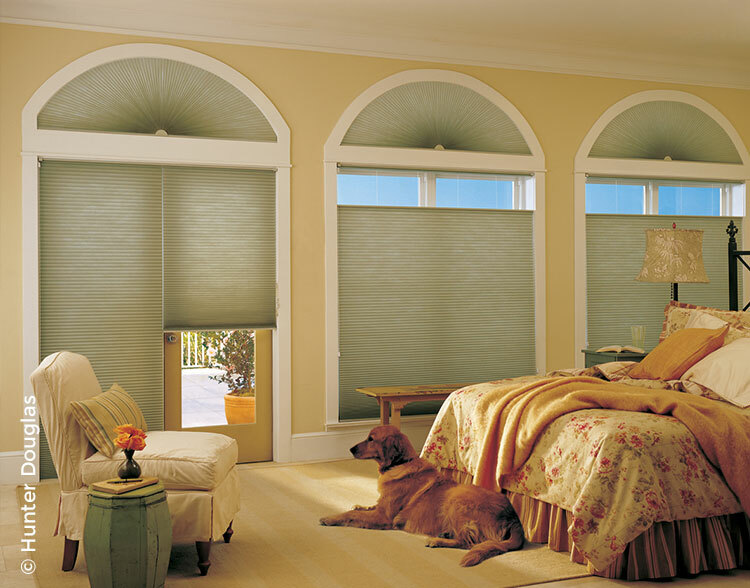 Available in different weaves, colors and degrees of openness, sunscreen shades are a truly custom window treatment. 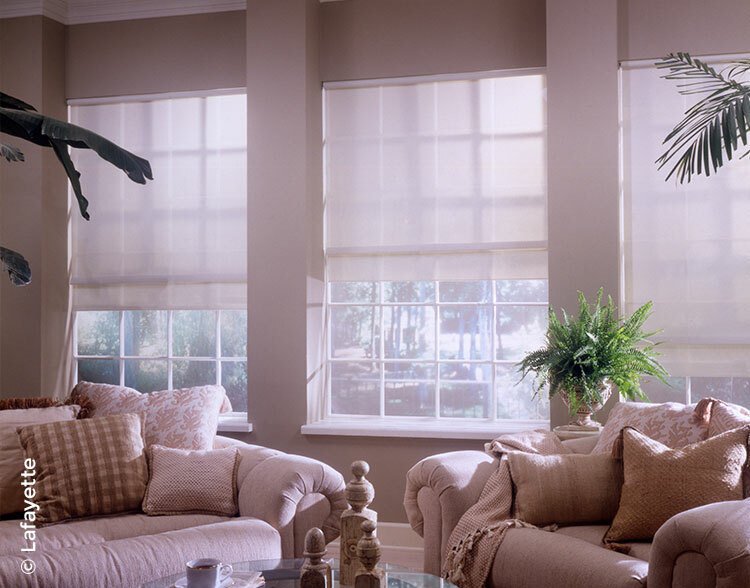 The addition of motorization and a sun sensor are often practical solutions. 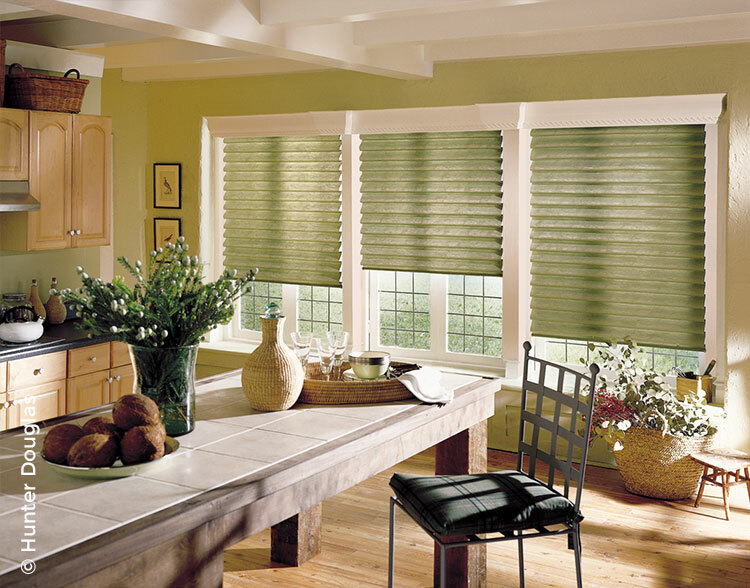 Vignette shades are Roman-style shades offering a selection of pleat options. Your Vignette shades will complement any room, from casual to formal, with their wide range of colors and fabrics.